Justin Burton is a member of Kriezelman Burton & Associates, LLC. He is an attorney dedicated to the practice of Immigration & Nationality Law. He regularly practices law before the U.S. Citizenship & Immigration Services, Department of Homeland Security, Immigration Courts, Board of Immigration Appeals, Federal District Courts and Courts of Appeals. Justin is also a regular speaker on the topic of Immigration Law. He speaks annually at the American Immigration Lawyers Association meeting before hundreds of Immigration attorneys. He also speaks at meetings with the Chicago Bar Association, Midwest Regional Conferences, and Federal Bar Association. Some of his published decisions before the Court of Appeals include Giday v. Gonzales; Tabaku v. Ashcroft; Abdelqader v. Ashcroft; and Naim v. Ashcroft. 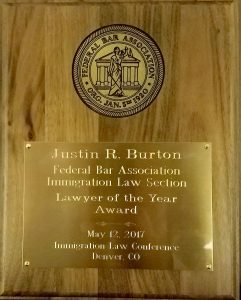 Justin is a member of the Chicago Bar Association, Illinois Bar Association, American Bar Association, American Immigration Lawyers Association (AILA) and the Federal Bar Association. He also has held positions including liaison with the Executive Office of Immigration Review, headed the initiation of the Chicago AILA Litigation Committee and AILA National Committee on Deportation and Removal. 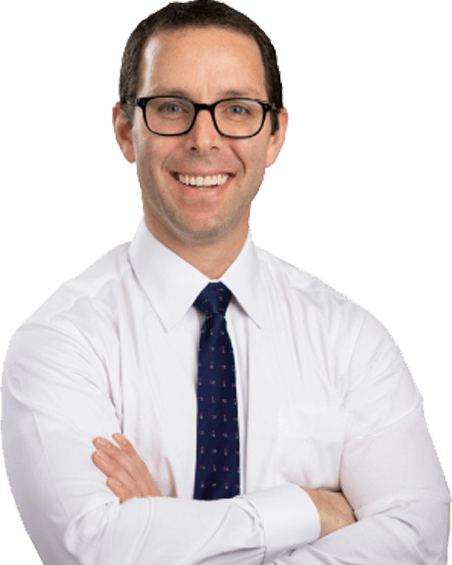 Justin volunteers extensively with pro bono agencies and committees. He presently serves on the Board of the Hebrew Immigration Aid Society. He also provides pro bono services including regular assistance to indigent clients with the Chicago Volunteer Legal Society. Justin presently is a member of the Chicago Executive Board for the American Immigration Lawyers Association.